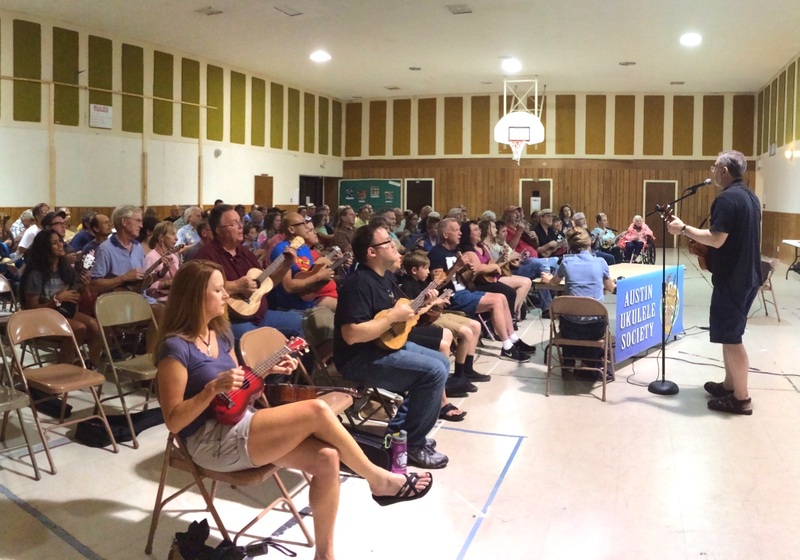 September 10, 2015: The Boys of Summer! 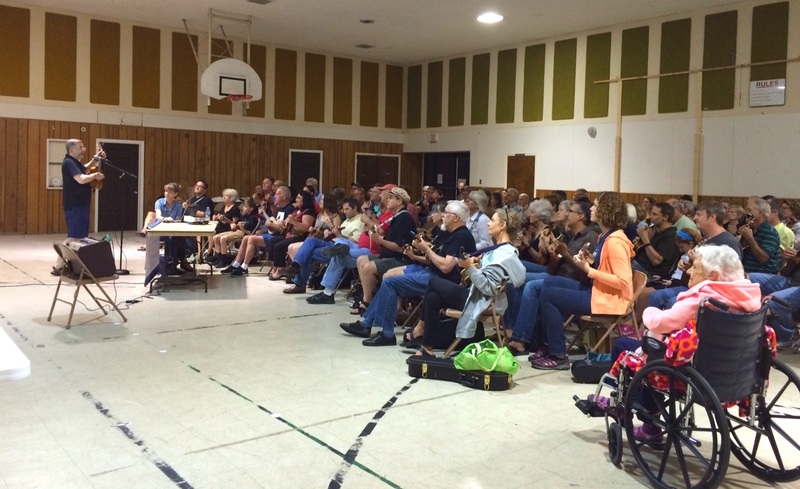 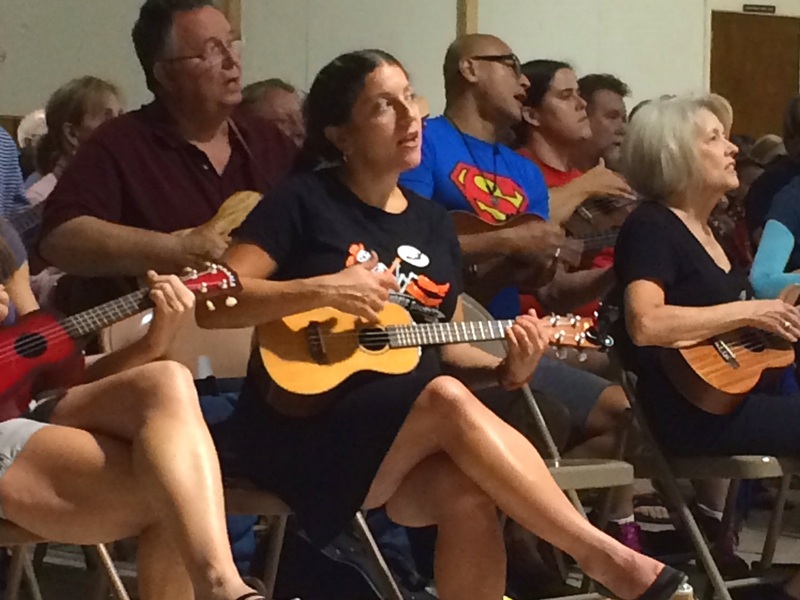 A little thunder and lightning couldn’t stop the Austin Ukulele Society’s meeting of 100+ ukulele players of all ages and levels, from places as far as Waco and with folks so new that they bought ukuleles on the way to the meeting. 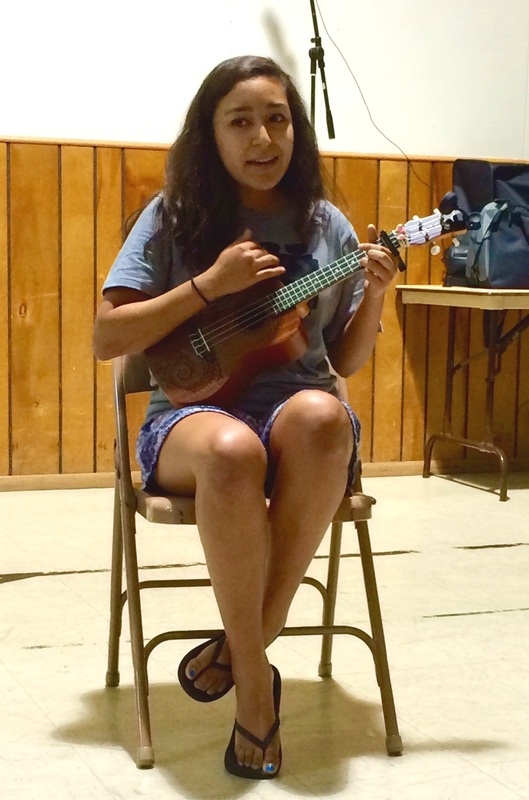 🙂 We enjoyed kissing the hottest days of the Texas summer goodbye by learning to sing, strum, and pick Don Henley’s 1980s hit “The Boys of Summer“. 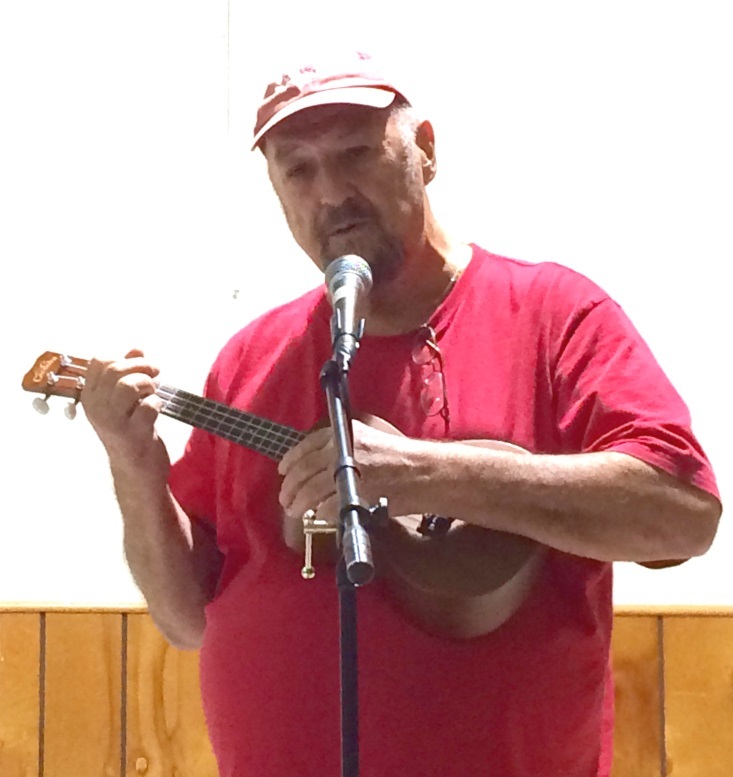 You can download the lyrics and chords for “The Boys of Summer” or download a copy of the presentation (what we project up on the wall for all to follow along). 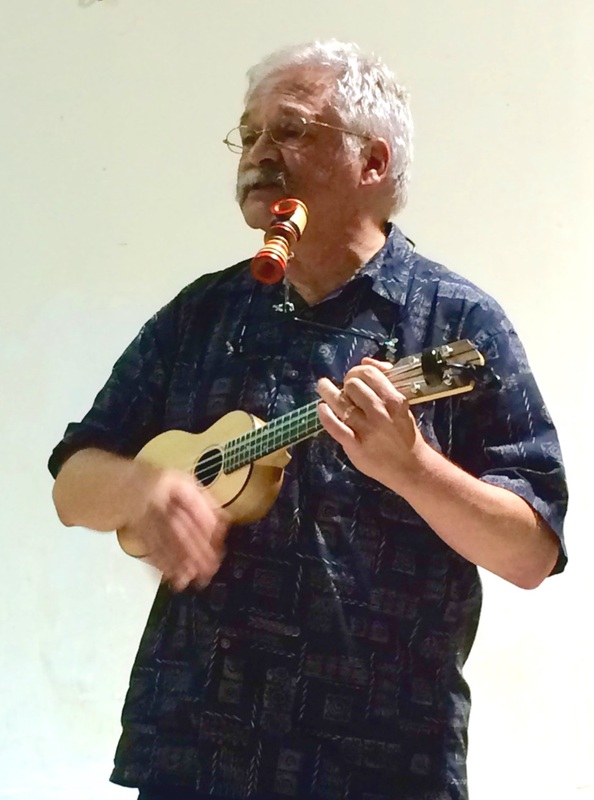 Not only did the September meeting attendees have a terrific time playing together, but they all enjoyed the talents displayed by our various open mic participants – Vince, Cranius, Richard, Walter, Jennifer, Ross and Woody – to boot. 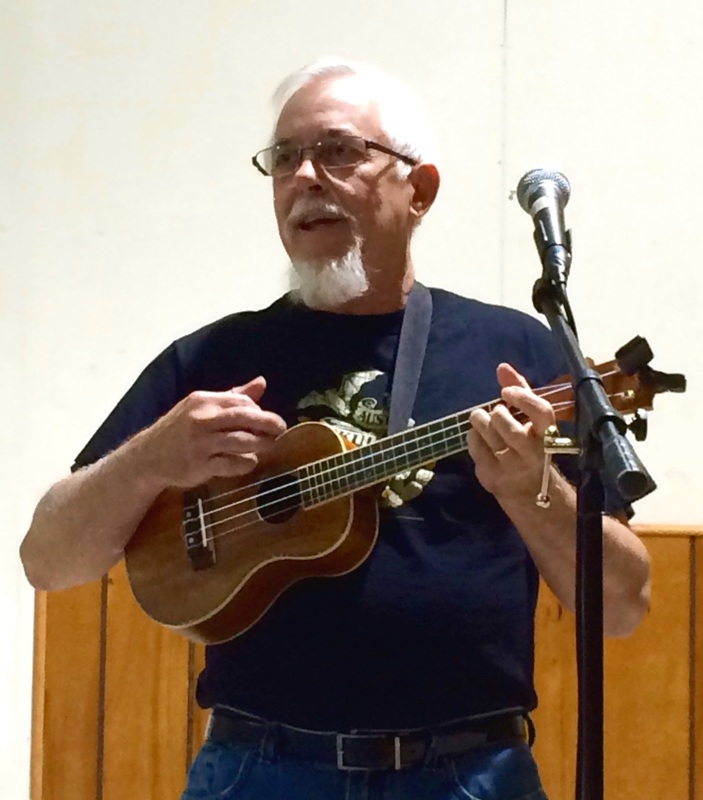 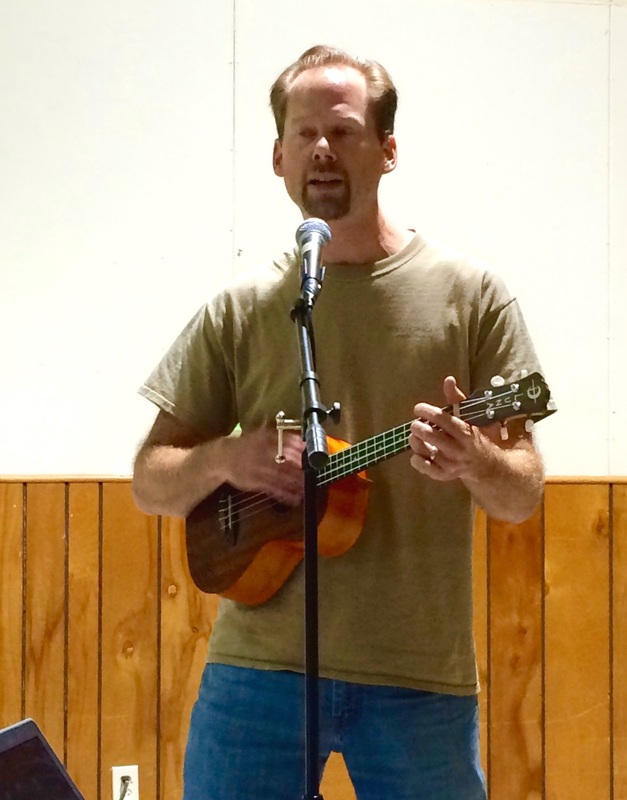 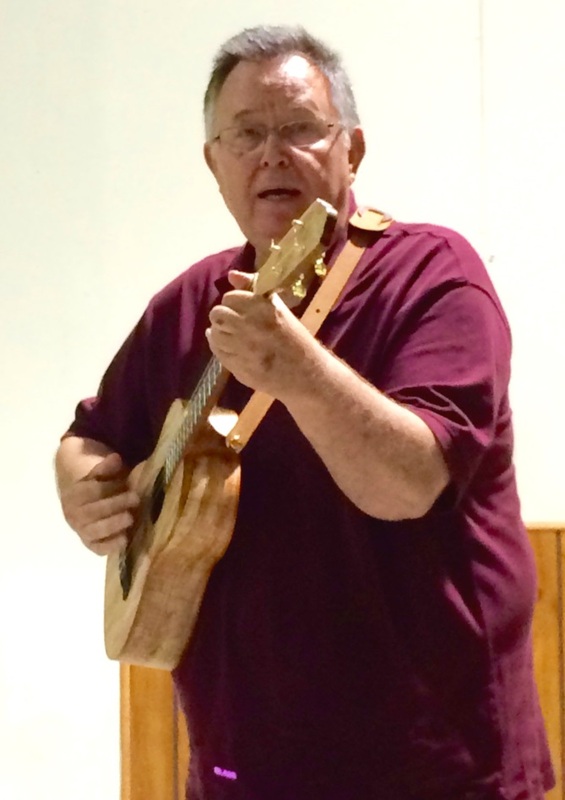 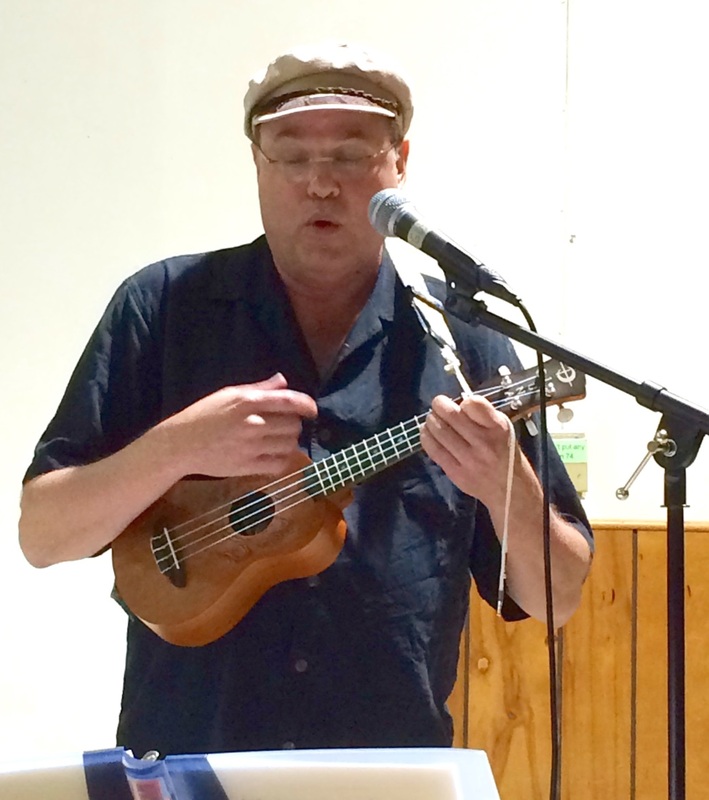 This entry was posted in AUS activities on September 12, 2015 by Austin Ukulele Society.